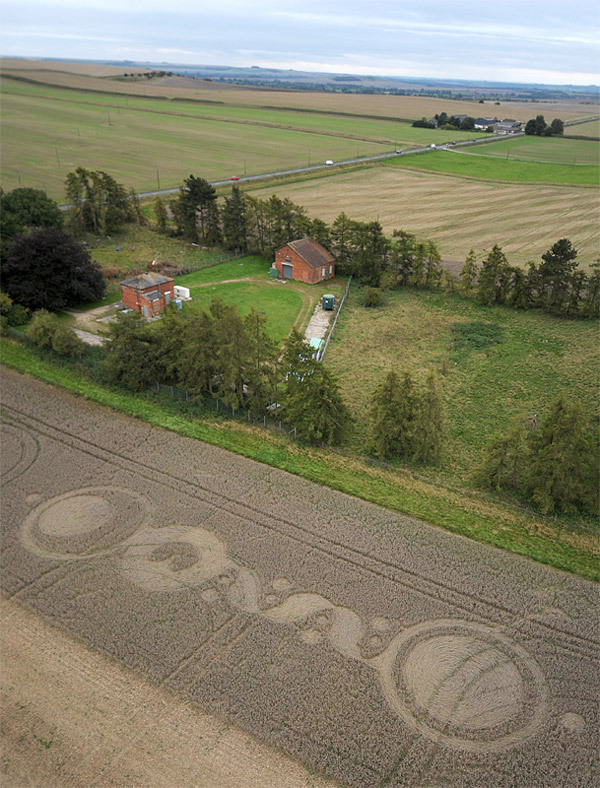 This one was reported on September 26th 2010 at the Baltic Farm near Bishops Canning Wiltshire, UK ! 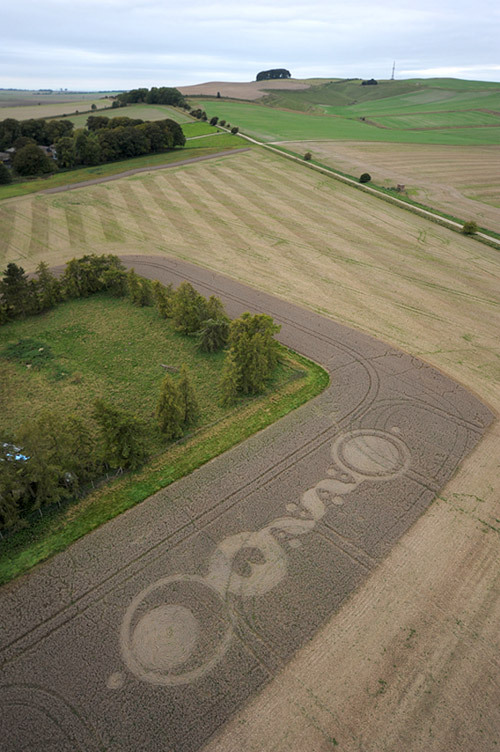 At first glance, this one gives the impression of Chakras ... the rising Kundalini Shakti well represented by the serpentine/wavy part of the formation with small satellite circles on the sides ... moving up through the Heart Chakra ! Crop Circles : Wake Up Call ~ Anybody Listening !